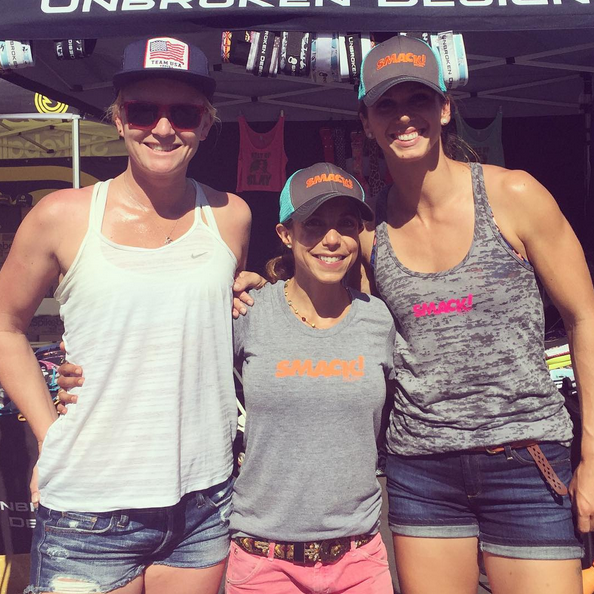 When we watched Nicole Tully win the 5K at USA Track and Field Nationals in June we went wild, and not just because it was her first (and commanding) National title to beat out the greats including Olympic Medalist Shalane Flanagan. Nicole is also a full-time PR and Marketing professional for Cannon and has learned to balance work with training and channel it into a winning combination! We could not help but wonder if her day-to-day life was very similar to ours and asked Nicole to do a SMACK! 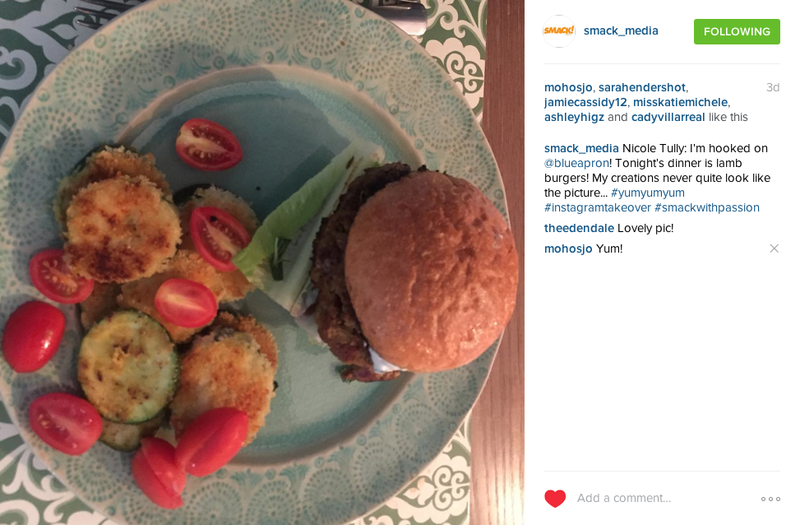 Media Instagram takeover. 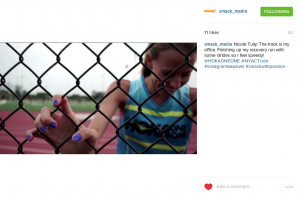 Below is a sample day in her life as she builds up to the World Track and Field Championships in Beijing where she will represent Team USA! 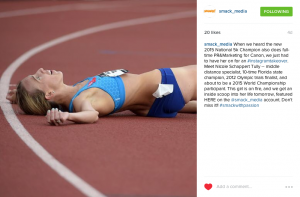 Nicole is elated and exhausted after winning the National title. 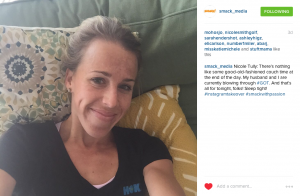 Nicole kicks off her morning with coffee and stretching while she watches the Today Show. 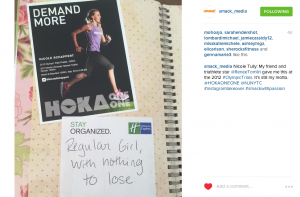 She loves personal handwritten notes–just like the SMACKANISTAS! 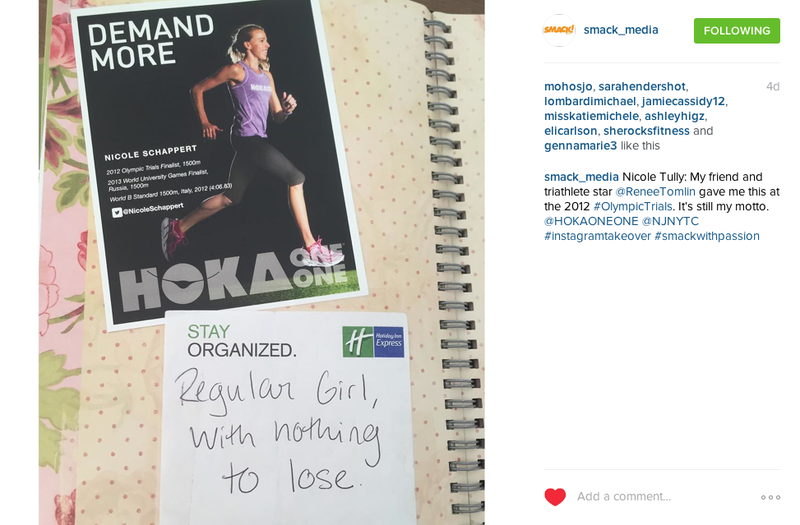 This one is from her friend before the 2012 Olympic Trials. 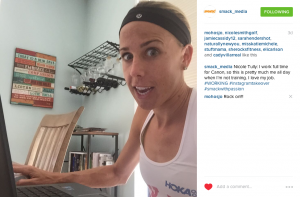 Oval office: The track is where Nicole sharpens her speed for racing! Working in workout clothes! We know this well and love Nicole’s work hard/play hard attitude that takes her from the track to home office. Nicole cross-trains in the pool to supplement her mileage and stay healthy. A typical dinner of homemade lamb burgers and fried zuchinni. 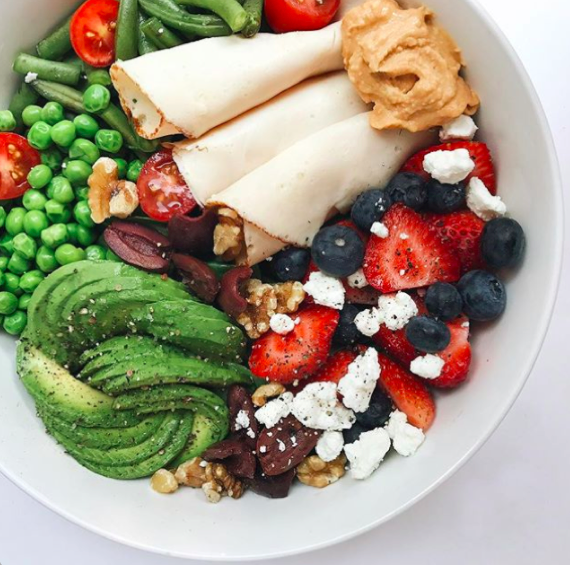 Can you make us dinner Nicole? Tired, happy and satisfied after a typical busy day. 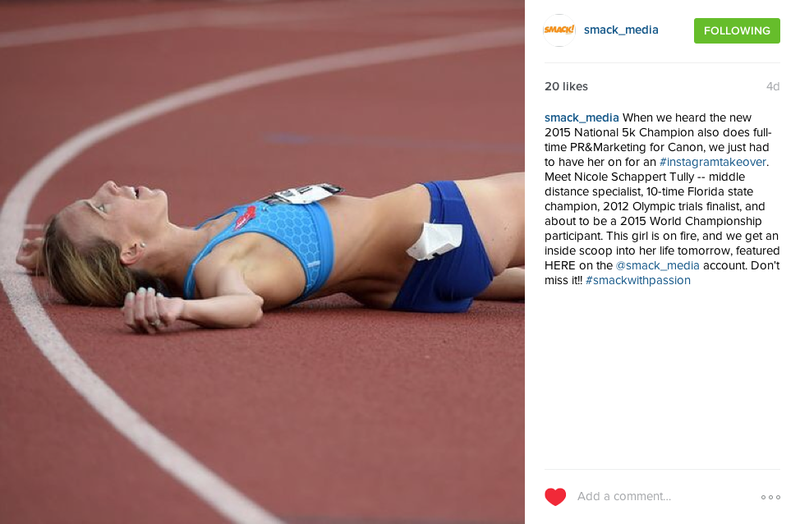 We can’t wait to cheer Nicole on in Beijing. 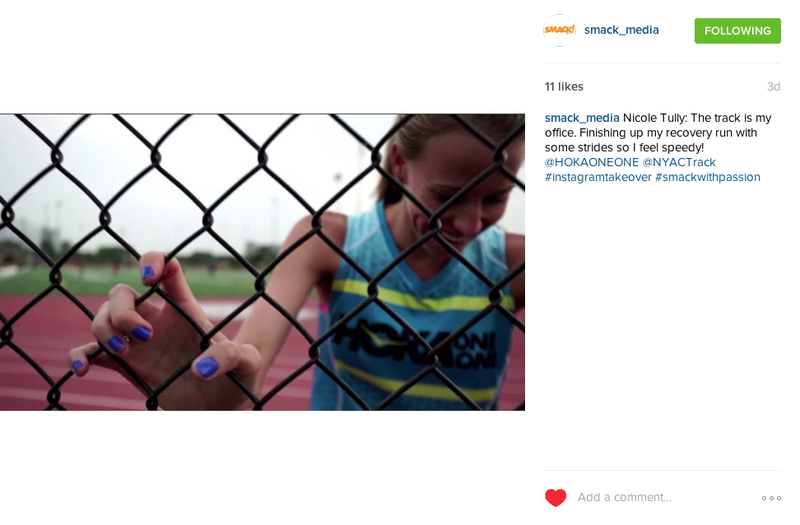 Until then be sure to follow her on Twitter (@NicoleSchappert) and stay tuned for more exciting SMACK! 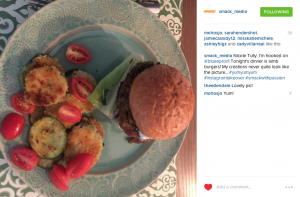 Media Instagram takeovers.